As I sat in his hot apartment, feeling awkward and shy, I started to realize what an interesting life my great grandfather had. Mr. David Katler, or Papa, has been around a long time and seen many different changes in the world. Papa was born March 10, 1905, in Russia to Fannie and Samuel Katurbursky. been born in Palestine and his father in Russia. Both parents had had previous marriages. In Fannie's first marriage, she had two children, Samuel had been married three times. In his first marriage, he had no children, but in his second, he had three. Then, with Fannie, he had six children. They had four sons and two daughters, Papa being the youngest of them all. Together there were eleven children. 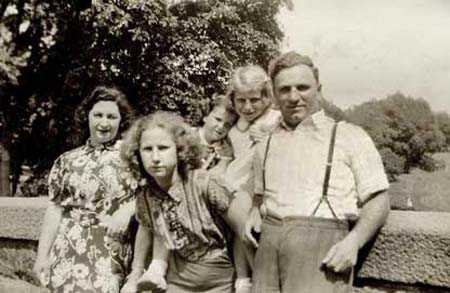 With their large family of thirteen, the Katurbuskys lived on a farm in Elisvagrad. With numerous animals, such as horses and pigs, always around, Papa became a great lover of them, for one could never be bored with so much company. Nevertheless, there were some downs, as well as ups with animals, especially when injury occurred. Papa recalls being kicked by a horse and bleeding badly. Besides the animals, farm life was tough. There was no indoor plumbing. Even in weather below zero, travelling to an outhouse was a must when a bathroom was needed. The outhouse was not a single either. It was for six to eight people to use at once. Also a one mile hike was necessary to fetch water. Life was not easy. When Papa was eight years old, he immigrated to the United States. He came with his mother, and they stayed with his sister, who had immigrated earlier and was living in the South End of Boston. His two oldest brothers were the first to immigrate. They were followed by his oldest sister. Papa's father and two brothers immigrated after his sister, and Papa and Fannie came next. Soon after, the rest of the Katurbursky's came to begin a new life in the United States. To friends, they would now be known as the Katlers. Papa attended school in the South End of Boston. He started in third grade, skipping first and second. He graduated grammar school and went on for two years of high school. Adjusting was hard because the environment was totally different than that in Russia, but Papa was a good learner between the ages of eight and fourteen. Deciding if he was accepted as normal was difficult because he didn't understand the meaning of acceptance at such a young age. When he thinks back, he doesn't remember feeling different than the other children. Papa got along with his parents. He was a well behaved child. The worst trouble he ever got into was when he threw a snowball through a store window. Since trouble was infrequent, his parents paid for it. Papa also got along well with his peers. He had many friends. They usually stayed on the streets playing what are now considered "girl's games" like marbles. There were no clubs or wild parties like now. When asked what his dreams were as a young man, a puzzled look came over his face, and then I received a reply. "You know, I could very well say that I wasn't a dreamer, so why would I dream of the future?" The only dreams he had were to start a family and become a rich man, but to him they seemed too common. The fashion of Papa's time was much different than now. People were always dressed up and sensitive to the way they looked. Men always wore ties and hats and women wore long dresses and hats with roses on them. Whenever there was a party, women would buy new dresses. Also, men tipped their hats whenever a lady walked by. Now, this clothing and manner would be considered ridiculous. 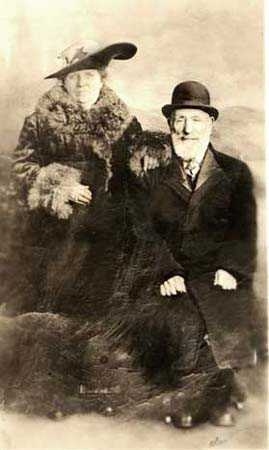 Papa's idol while he was growing up was Rabbi Waise. Papa believed that he was the greatest speaker. He often heard him speak, for he attended lectures at his Temple every Sunday. When Papa was nineteen, he married Sarah Shapiro. They met at a truck party. These parties consisted of benches in the back of trucks without tops. Here, many people gathered to travel to different places. Both Papa and Sarah, my Nana, had dates, but they separated and joined each other. Together, Nana and Papa had three daughters. Their names are Rosalyn, Barbara, and Bernice. Rosalyn, or Roz, was the oldest and she often stuck up for Bernice, or Boonie, who is the youngest. A few times, she beat up other children for picking on her sister. Papa was now working in a naval shipyard operating an offset or printing machine. He retired at age sixty three. He received awards while working there for valuable contributions. He had many great ideas that helped the shipyard. Papa lived through World War II. There was very little scare in the States. There were air raid wardens for the air raids, and Papa was one, but there was really no danger. The only problems, were the few shortages. There were quotas on gasoline, sugar, and flour. Papa's two step sisters, who were still living in Russia said the war was not much different there than in the United States. Papa is glad that he lived in the era that he did. His reasoning is well thought out. "I hate to think of what's in store for the children that are growing up today. Children of today have nothing to look forward to as far as relationships with the friends around them. It won't be the same. Things move too fast. So frequent (sic) that girls or boys live away from home, that you don't have the same environment that you had when I was growing up. Nobody went away from home." I admire Papa for his philosophy of aging. He believes that in old people, there is no senility. It is just that there are too many memories to keep, that the mind "overflows." after eighty-five years, there must be millions of memories, and people are expected to remember everything, even if it is of no importance. That is not senility, that is excess information. I am grateful for this opportunity to "meet" my great-grandfather. 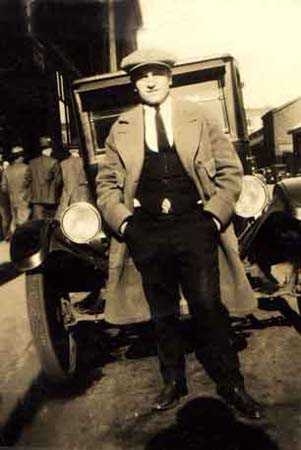 I feel closer to him now that I know more about him, and I feel that he is more than just my great-grandfather, but a unique individual that lived a wonderful and interesting life.